Believe it or not, I’m still here! Real life has been insanely busy (not unexpectedly, and will likely continue for at least another couple of weeks), so my blogging time has been nil. However, I did want to share for my Memphis area readers that Triumphant Quartet is coming to Faith Baptist Church in Atoka on Thursday night, Nov. 29. The concert starts at 7:00, there is no admission, but a love offering will be taken as always. Triumphant hasn’t been to our church in a couple of years now, and since that time they’ve really hit their stride. 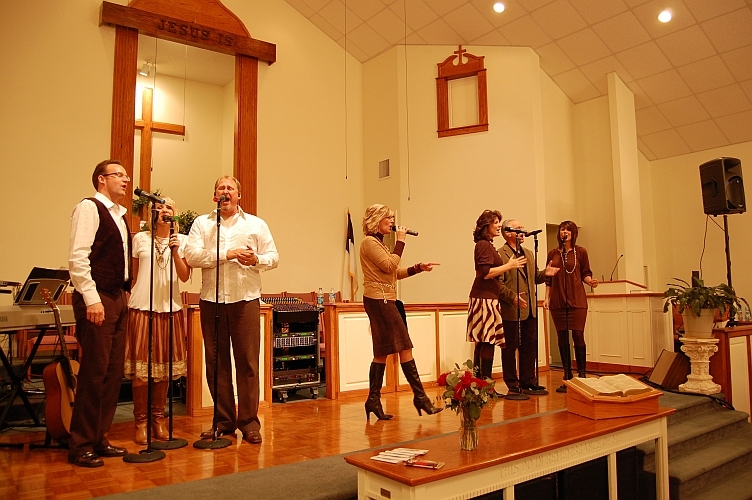 Come out and enjoy a night of Southern Gospel music on the Thursday after Thanksgiving. Who knows, you might even hear a Christmas song or two! I give shoutouts to new SG bloggers from time to time, but today I wanted to recommend a fairly new Christian blogger that has nothing to do with Southern Gospel. My pastor’s wife, Janet Warren Lane, has written and published a book entitled Fiery Darts: Satan’s Weapon of Choice, and in conjunction with her book she has started a blog. You can find it on WordPress at http://fierydarts.wordpress.com. I take every opportunity I can to brag on my church and church family, and I think you readers will find her blog very timely and thought-provoking. I helped her get moved to WordPress and get going with it, and she has done very well. Give her blog a read, I suspect the quality of her posts will keep you going back. Friday night, Sept. 30, my church (Faith Baptist – Atoka, TN) will be hosting the Kingsmen in concert at 7:00 PM. As always, no admission, there will be a love offering. If you are in the Memphis area, come on out for a great night of SG music. Also, as normal, there will be a concert review here next week, and I’ll also be live blogging on Twitter via the blog’s Twitter account. The last time I saw the Kingsmen, Jeremy Peace and Tim Surrett were still in the group, so yeah…it’s been awhile. I’m looking forward to this one! Just a friendly reminder to those in the Memphis area that Brian Free & Assurance will be in concert tomorrow night, 7:00 PM at Faith Baptist Church in Atoka, TN. The church is located at 900 Simmons Rd. No admission charge, but a love offering will be taken. Come on out and enjoy a great night of SG music! For those in the Memphis area, Triumphant Quartet will be in concert Friday night, May 29 at Faith Baptist in Atoka, TN. Concert starts at 7:00 PM and there is no admission charge, though a love offering will be taken. Come on out and join us! I was particularly anxious for this concert, this was a group I really found on a whim (you might remember my blog post here), and though I’d heard their 3 mainline releases, I’d never had the opportunity to hear them live. 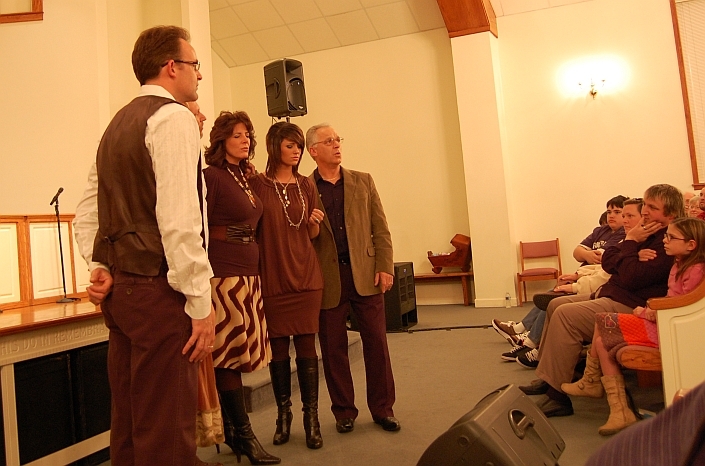 I was particularly interested to hear how well they pull off the tight harmonies on their acappella numbers live. Let me say up front, this group was just as impressive live as they were when I first had a chance to listen to their CDs. Musically they were dead on, and one of, if not the biggest highlight of the concert, was when Rich stopped the track to “I Must Tell Jesus” and instead, they put their mics up, walked in front of the stage, and sang it acappella with no sound system. You’ll see a picture of it below. It was absolutely incredible. “I Know Why” is just as beautiful in concert as it is on CD, which I featured as a Hidden Gem. “Lift Up The Cross” is a big time song, and these guys (and girls) absolutely own it. They all have a very confident command of the stage, and their dedication to their craft is very evident. “He Looked Beyond My Faults” deserves some special mention as well. Their live version is a bit shortened from the recorded one, but it is no less impressive, as the vocal arpeggios behind the lead vocal are still astounding. The complex harmonies this group can pull off are amazing. They didn’t perform it during the concert, but they sang “Heaven To Me” during soundcheck and even nailed the jazz chord at the end of it. Looking over the 16 song set list from the night, there wasn’t a weak spot in the concert, and they have a particulary soulful rendition of “Oh Happy Day”, reminiscent of the early-mid 70’s era Imperials. 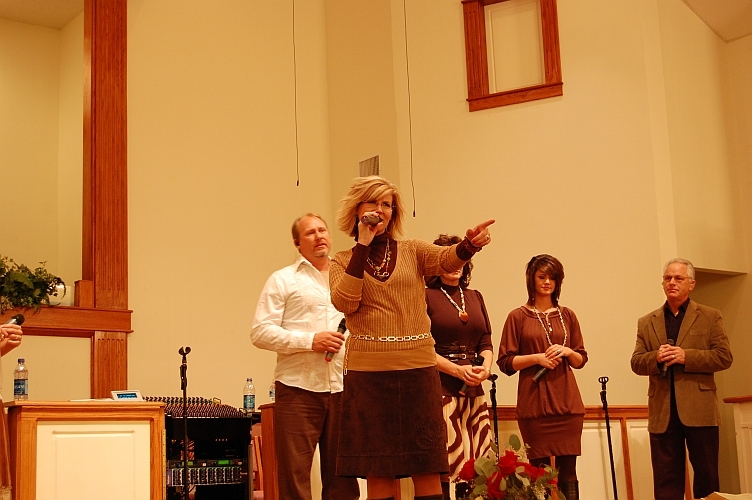 I also got a special “sneak-peek” listen at some cuts from the Crist Family’s new CD, due out in April. This upcoming CD, much like The Dills’ latest, is really going to raise the bar for this group. Their new radio single, releasing in the next week or so, is very good, and there are several great cuts, including an acappella version of the old CCM classic “More Than Wonderful”, and Jackie Crist gets a nice smooth Allison Krauss-type song that Rich said is a front runner for the second single. Be watching for this one to release, it will be VERY strong. The Crist Family know what they’re doing, and know Who they are singing about. I can think of no better way to extend an invitation than with a song like “Lift Up The Cross”. Lisa Crist’s testimony about losing her mother to cancer at just 47 years old was very touching, as was Rich Crist’s testimony about God’s restoration of their family. 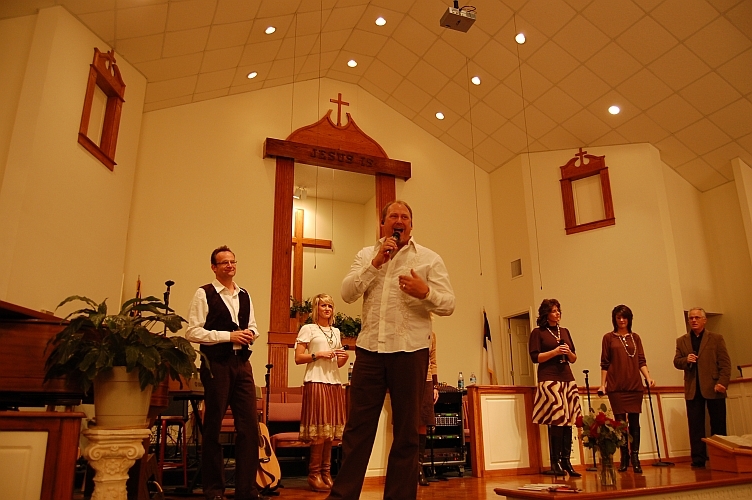 If you are fortunate enough to have the Crist Family appearing in your area, please go! 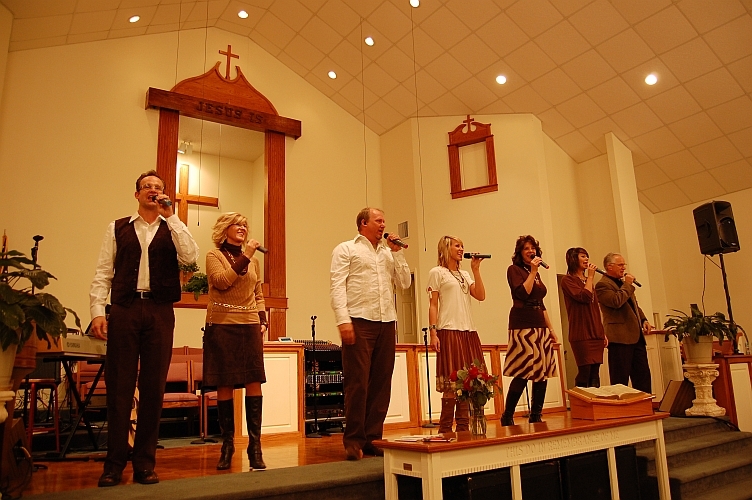 These guys put on a great concert, and you’ll really miss a blessing if you miss it! Thanks Crists for a great concert, and a great service, we hope to have you back again soon! 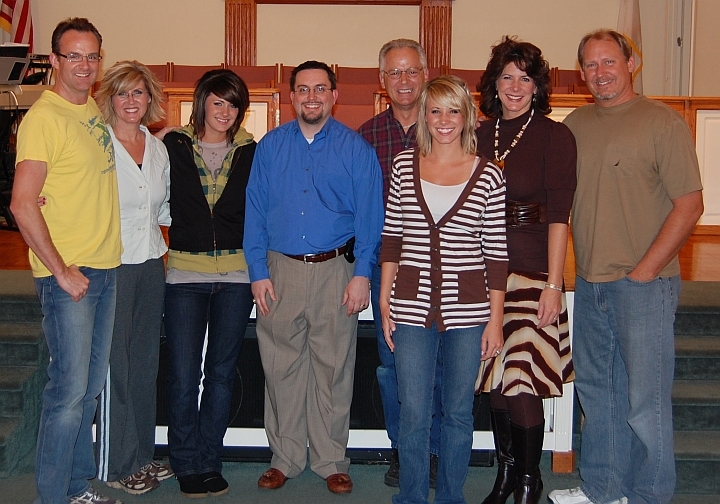 One last reminder that the Crist Family is in concert Sunday night at my church, Faith Baptist in Atoka, TN. Concert starts at 6:00 PM, there is no admission charge and a love offering will be taken. For those of you not in the Memphis area, check back Monday for a concert review and pictures. I’m really looking forward to this concert, the Crists’ recordings are very impressive, and I’m anxious to hear them live.